When a publishing behemoth having its genesis in the sprouting of the modern era, hands over its reign of command to a sports enthusiast, you can only expect extreme optimism and electrifying energy into the entire state of affairs. This was probably our experience when we entered the cabin of Sivaramakrishnan V, the Managing Director of Oxford University Press, India which was spartan in visual opulence but as it emerged during the course of conversations was replete with profound wisdom, something which has been the signature of brand Oxford. 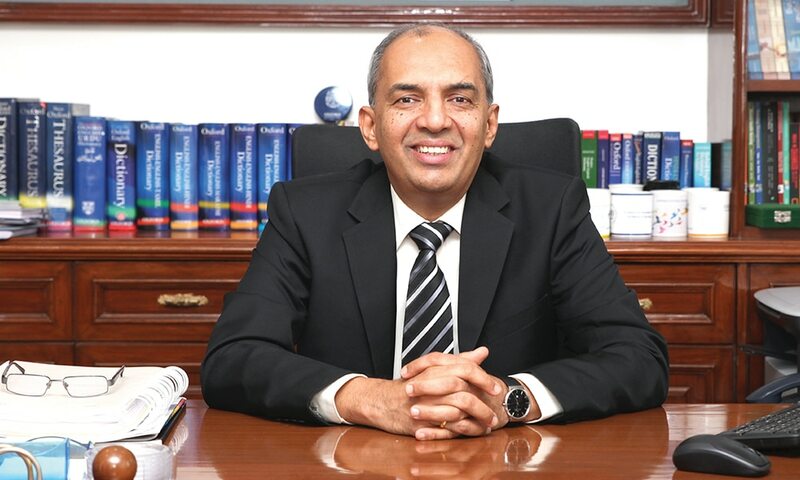 An impelling speaker having trained his guns in the domain of educational services at Manipal Global, Siva wanted to be down to earth and close to basics in this very fi rst media interaction after taking on the charge as OUP India Chief. In a 35 minute interaction which spanned almost the entire galaxy of educational narratives, we are hereby presenting some of the key takeaways from the foremost University Press in the world as to how they see the journey further & forward. If Prime Minister Cameroon cheer-led the advent of the Indian era at Wembley, Siva resonated with him at least in spirit mentioning the global linguistic data whereby the demographics of the Indian languages is just but mind-boggling, at least from an astute business sense. OUP has thereby casted a major focus on its Language Learning Programmes from a bi-lingual handle. It’s bi-lingual dictionaries are doing rounds in the market and have emerged as a distinctive market leader in the space. The biggest perspective change which has come at OUP is the co-existence of ‘Bharat’ alongside India. The functional penetration of English as a global transactional language is being championed through this bi-lingual approach. However, much remains to be seen about their tri-lingual learning experiments, which the OUP experts are underway. Siva was unequivocal in admitting the fact that English has evolved from only being a language of superiority to that of a lingua franca of the modern world, primarily from an economic standpoint. Being the language of technology & commerce, the modern economic disciplines need a functional proficiency in the language which is being facilitated by OUP’s Adult ELT (English Language Teaching) Programmes. Sector specific content in the form of dictionaries is being compiled to have a functional command over the subject matter, thereby contributing to the major national thrust on programmes like Skill India and Make in India. Though not the first on the digital bandwagon, OUP is exploiting the power of the digital platforms to devise a unique set of assessment solutions. Still in its beta testing stage, the digital solution christened as Oxford Achiever tend to grade a learner across 36 levels. So gone are the days, when either you know English or you don’t know English. You know some of the English which is certified by none other than the guardians of the language itself who have seen its evolution from the era of papyrus to that of pixels. A learning outcome based pedagogy is doing rounds in the OUP design floors whereby technology is being leveraged smartly to make the continuous gradation possible and thereby design self-paced personalized learning programmes. OUP is on the frontiers of this breakthrough as per Siva. Always been on the frontiers of human advancements, OUP – waited to watch the unfurling of the digital narrative. Siva was candid enough in asserting that the future is of blended learning with digital coming over as a facilitator. The fascinations around the tech need not take away the focus from the teacher. The age-old premise at Oxford revolves around the teacher, which shall continue even in the much hyped digital era. Access to information can’t be considered as a substitute to the knowledge imparting and gaining process. Oxford is coming out with its apps and a host of other digital learning platforms. They are gung-ho on their strong tradition of market feedback which shape up their products and give them their distinctive edge. The vast author network make them a power to reckon with when it comes to producing learning material of high quality. In a growing trend a lot of state board schools are adopting OUP books for the benefit of young learners, something will make them competitive at the highest levels. Humility was perhaps in the air on this first floor of YMCA Library Building when Siva said nonchalantly that they have conducted some 1300 teacher training workshop out of their kitty training around 55-60K of the next age trainers. If it would have been any other enterprise, this alone would have become the single most bragging right for others in the fray. OUP intends to further intensify this very aspect of their market penetration and maintaining a superlative lead. The challenge of getting along the teachers at heart who have passed the half way mark on technology remains high but OUP is happy to work with them. The newer ones on the deck have the skills but the experience in the profession of teaching gained over the years will help them deliver even better. Siva, expressed a stark contrast about the emerging scenario in the teaching space. The sheer outreach to over 12,000 schools across the country make OUP an enviable force. Their textbooks are upgraded every year through a well set out consultative process. Their newer publishing platforms especially on the digital & mobile are in various stages of testing & review and shall see the light of the day soon. A lot of research & experimentation has gone into designing these newer learning platforms. Veterans have to deliver things in the right way. Sustainability & Impact somehow supersede reach in the Oxford Universe at times. Siva, as he likes to be called, enunciated elaborately on the learner-centric strategy – around which he sees his focus getting along at OUP. We wish him all the best at this new stint whereby he has the potential to make a profound impact on India’s learning landscape, something which remains one of OUP’s key objectives.